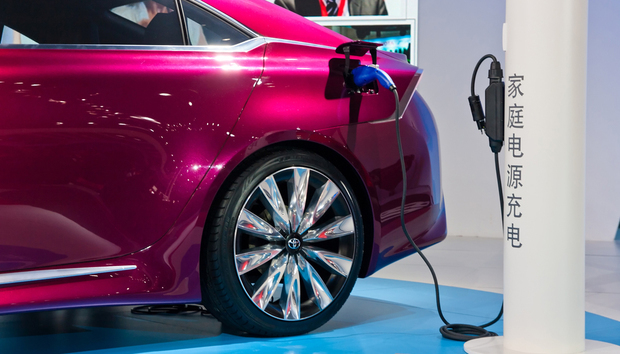 Over the past six months the Chinese government has announced a range of measures, guidance and plans to support the development of the electric vehicle sector in the country. These have been pulled together into a strategic initiative by the Ministry of Commerce. Dubbed the Energy Saving and New-Energy Auto Industry Development Plan, it’s aimed at jumpstarting the market in China. Alongside this plan, Chinese internet giant Tencent has started a new content hub aimed at tracking the success of this initiative for the Government, local manufacturers and those companies looking to crack open new opportunities. Ge Yan, deputy general manager of the Regional Portal Operation Department of Tencent, answers some questions on what is taking place. What’s happening in China today? Is the electric car market taking off by itself? The market is developing – slowly at the moment, but it is growing. During the past quarter, more than 40,000 “new-energy” vehicles were bought, according to the China Association of Automobile Manufacturers. New-energy covers both full electric vehicles and those with hybrid engines. That is a drop in the ocean when compared to the overall market, which was about 21.9 million vehicles, but it is growing quickly. The Action Plan from the Ministry of Commerce aims to raise the number of new-energy vehicles sold to 500,000 by the end of 2015, with around five million on the road by the end of 2020. The support of new infrastructure investment and guidance for public bodies to invest at least a certain percentage into electric vehicles should help in this aim. At least 30% of new vehicles should be new-energy. How does the Chinese government see the market developing? Is this aimed at internal market development? There is a strong focus on the internal market, for sure. We hosted the first New-Energy Vehicle Forum at the Guangzhou International Electric Vehicle Exhibition and the event was attended by the leaders of most of China’s biggest vendors. They see that there is potential appetite in the market for this kind of vehicle, and the support of the Government should assist here as well. Having said that, there is a strong export element to the Action Plan too. Creating a strong local market will benefit the local manufacturers and the joint-venture companies that have been set up with international brands. In turn this should support the growth and development of these companies internationally. Currently there are more vehicle types and options being developed to exploit the market opportunities that the Action Plan aims to create; success here should translate to more potential overseas as well. China is behind some of the developed economies when it comes to design and intellectual property around the electric vehicle market. However, the market is still in its infancy so this can only develop further. Creating several strong Chinese brands that can compete on the world stage is therefore a great opportunity. Is this a market where international companies can be successful, or will it be one for local brands? I think this will depend on how successfully these companies can look at the landscape that the Action Plan creates, and then look to sell against those opportunities. This can be full vehicles that are made and sold, or companies that develop the parts that are included in international brand cars. Either way, the whole supply chain will be important. It’s important for all companies to be successful in this market if we want to see the targets being met, and the impact on the environment being reduced. Many people have outmoded views of the electric car market, or are not aware of all the options that are open to them. Educating the market is therefore important, both for the Government and for the manufacturers themselves. Is this encouraging any new ways of thing about the situations involved? Are companies and the Government really able to encourage better behavior around energy? One of the speakers at the Tencent Auto New-Energy Forum was the Chinese economist Mao Yushi, who recalled the path of scientific and technological inventions throughout history and how many important technology developments were at first greeted with scepticism. While there may be a lack of confidence in the fuel-cell technology, Mao Yushi believes electric cars will play a significant role in public transportation, because buses don't travel very long distances. Charging shouldn't be an issue for this class of vehicle either. One of the topics he brought up was around how to address the potential environmental issues in a new way. This could involve replacing the cost to the wider society with more direct cost to the individuals involved in the activity. For example, individuals would have to pay more taxes if they pollute the environment. This method is commonly used in countries around the world to make individuals more careful about their actions. What will the impact of all the investment made in China be internationally? I think that success in China will breed success internationally. While electric and hybrid cars in the US and UK are starting to get more popular, the markets there are still not at the size and scale that might be required for companies to be really successful. If the Chinese market can grow to the size that the Government wants to achieve, it could have a profound impact on how markets in the rest of the world are able to develop too. One of the big problems can be the infrastructure needed to support use of electric cars by larger volumes of people. As China develops its own infrastructure, so the companies involved in creating this can have one eye on how they might do this for the rest of the world as well. If particular types of car are successful in China, the companies behind them may see more opportunity to grow internationally from this base. This would certainly be the aim for the local Chinese manufacturers. What is in this for Tencent? This market has huge potential and there is still a lot of education required. This requires content to inform and entertain the wider audience, as well as more dedicated material that will help influence buying decisions over time. Bringing manufacturers, vendors and buyers together is therefore a big opportunity for Tencent. International companies will need assistance to address the huge Chinese market, and Tencent can provide advice and assistance for brands in using its channels to reach that audience. Working with international brands to help them acquire customers is something that Tencent has been doing for a long time; this market is the latest opportunity.